The J-RETRO 01 DELUXE is designed to fit directly into 'jazz' style deluxe basses, without modification to the instrument in most cases. 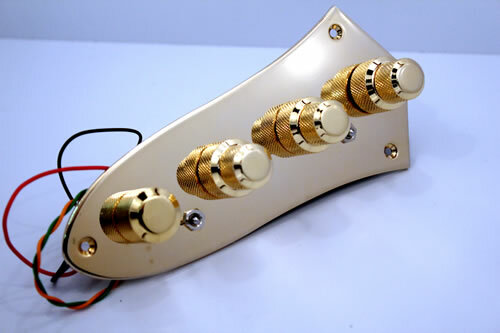 Its high quality circuit uses three stacked and one single knob. 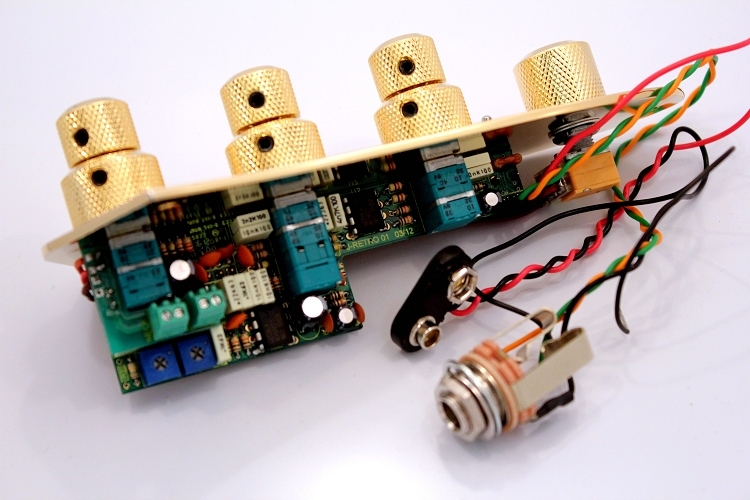 Controls and function include an active blend circuit, 3 band equaliser with bass, variable frequency mid, treble plus bright function, and a passive tone, which functions in both active and passive modes. EASY TO FIT, NO ROUTING OR MODS TO MOST J DELUXE STYLE BASSES. It can be used in more standard "jazz" style basses, but the jack will need to be fitted to the side of the bass, as is the case with jazz deluxe style basses.